It is the season of Lent. But why all the long faces? Doesn’t the story of the Christian Scriptures begin with good news (creation) and end with even better news (new creation and a wedding feast)? “Yes, but,” as someone will no doubt remind me, “the story also entails the fall of our race, and the disordering of all of our affections, so that we love (and fear and desire) what is not fitting. That’s why we practice disciplines like fasting, almost like the ancient Stoics, so we can seek a more virtuous life.” All of this is true, I believe, and the Stoics deserve our admiration and study. (“All truth is God’s,” as Justin the Martyr and Thomas Aquinas said.) But are the foundational stories of Stoics and Christians really the same? Stoics view the world as a place of hard law and fate where history offers nothing beyond a cyclical stage upon which to practice heroic courage and self-discipline. On such a stage, the disciplines may be an end in themselves. But in the Christian story, the goal of the disciplines looks beyond such athletic achievements to the creation of a new community, tempered by self-sacrificing love. In that world, as the ancient monastics knew, the disciplines are not an end in themselves. Indeed they must be set aside if they interfere with caring for the needs of our neighbor. It may also be well to consider, as we think about our own goals for Lent, that heroes are sometimes a real handful for others to live with. 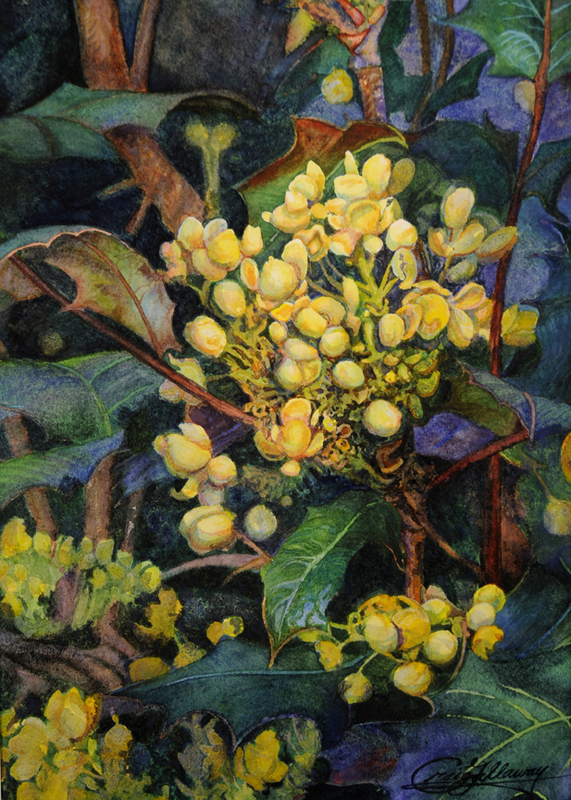 The art work in this post is titled “Mahonia Morning,” and is in a private collection. More information about this painting and others can be found in the galleries of my art work at Fine Art America. This entry was posted in Archives and tagged Christian disciplines, Craig Gallaway, Lent, Stoicism by Craig Gallaway. Bookmark the permalink.